Stepping onto the 44th floor hotel suit balcony and taking it all in… Set out below, in a mesmerising 180˚ panorama, is the floodlit splendour of one of the greatest business cities in the world, a temple to capitalism if ever there was one, skyscrapers reaching for the stars, illuminated with shimmering lights of red, blue, white, green, yellow and gold, ringed at their feet with a silvery ribbon of Tarmac. This is the Singapore Grand Prix. No other race is quite like this south east Asian affair. Bursting onto the scene for its inaugural race in 2008, the Singapore event instantly joined the prestigious club of ‘Blue Riband’ grands prix. Monaco, Canada, Great Britain, Belgium, Italy, and latterly Austin, are all special F1 weekends, each with a unique place in the hearts of those of us that work, follow, invest or pose at these top-level races – but this, this grand prix is different. Not only do the powerful, the wealthy, the beautiful (and the not-so) prance and preen their way about the city’s swanky hotels, bars, clubs and restaurants before arriving at the Marina Bay Circuit’s F1 paddock just to look good. Refreshingly, there’s actually some substance to all this vogueing. Movers and shakers, men and women with money to invest, the powerbrokers who will decide budgets, cash flow, strategy and marketing direction are all here. All here to make things happen. Just stand for five minutes at the sharp end of the paddock and an unrivalled – at any other F1 event – phalanx of powerful people will stroll on by, meeting, greeting, glad-handing and chitchatting. Huddled in tight little groups they disappear into the teams’ hospitality units to talk about multi-million dollar deals. No other grand prix comes close. It’s not just in Bernie’s privileged cabal that all glitters either, out where the cars race and the spectators watch the atmosphere is special, too. They’re a good-looking, young, affluent bunch. Husbands with their wives and children, girlfriends, boyfriends et al, engaging with F1 the way it should be. Close to the action, wowed by fantastic entertainment, rock concerts, historic F1, a continual social media stream, and of course the main attraction, the stunning hybrid machines that sounded fantastic in the close confines of the Singapore streets, the atmosphere ramped up by the incredible sights and sounds all around. As many of you will be aware I’m a fan of our sport’s 21st century wake-up call with the contemporary cars leading the automotive world, but, and forgive me for being a touch negative, nowhere so far this year – to me at least – have the cars looked quite so different compared with the season past. Stripped of so much clever aerodynamic downforce-generating bodywork, this year’s machines often looked nervous, twitchy and tricky to drive. Such is the ‘step backwards’ in outright cornering speed that F1 2014 looked a little, dare I say, slow. One shouldn’t really be surprised. Cast your minds back a year. 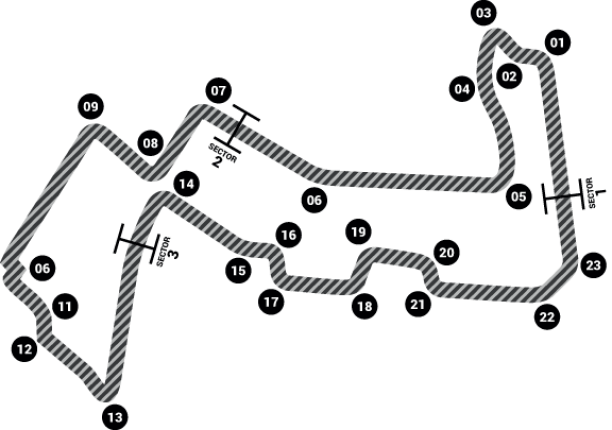 The 2013 Singapore Grand Prix marked – possibly – the zenith of the aero-dominated, off-throttle-exhaust-gas-blowing V8 cars. Sebastian Vettel in his peerless Red Bull RB9 produced one of the most stunning exhibitions of flat-out maximum-attack driving I’ve ever had the privilege to witness. Photographing at the exit of Turn 9 I was struck by combination of the monstrous aero ability of the Adrian Newey-designed car, Renault V8 engine, and a driver so in tune with his ride and the counterintuitive handling nature of the ‘blown’ cars. It’s something I’ll never forget. On those balmy September nights twelve months ago one knew it was Sebastian’s RB9 entering the corner ages – in F1 terms – before one could see the blue, red, yellow and purple road rocket. Such was his ability to apply and the car’s willingness to accept throttle input way before any of their rivals. The above is not meant to be a criticism – merely my observations, influenced, I’m sure, by a sense of longing for seeing cars hammer through corners at an almost physics-defying velocity. Back to this year’s event and, when the on-track action paused, the show didn’t abate. Thirty-feet-wide glittering television screens thrilled the crowd with highlights of the 2014 F1 season so far, brilliantly produced by Formula One Management’s crack TV production crew. Stirring music, fantastic camera angles and privileged access resulted in a visual feast of fantastic action. Please now take a look at my 2014 Singapore Grand Prix gallery by clicking here.